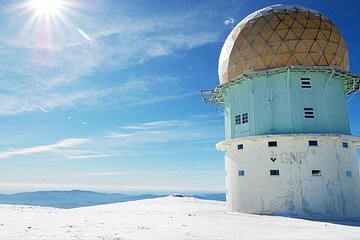 Head to the highest point in Portugal on a full-day private tour to Serra da Estrela. Take a luxury Mercedes to one of the largest mountains on the Iberian Peninsula, about 2,000 meters, and climb the Tower of Serra da Estrela to take in the beautiful views. Visit the villages of Sabugueiro and Seia and sample some of the delicious cheeses of the area before heading back to Lisbon. Entry fees are at your expense.